He teaches courses on American art and architecture, as well as American cinema. 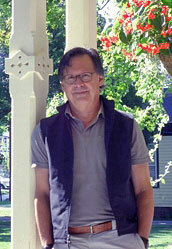 In 2009 he was honored with Mount Holyoke’s Distinguished Teacher award. He lives in South Hadley with Monika Schmitter, a historian of Venetian art. His daughter Ivana lives in Portland, OR, and his son Adrian lives with his family in Singapore.